Hey, I’m glad you’re here! 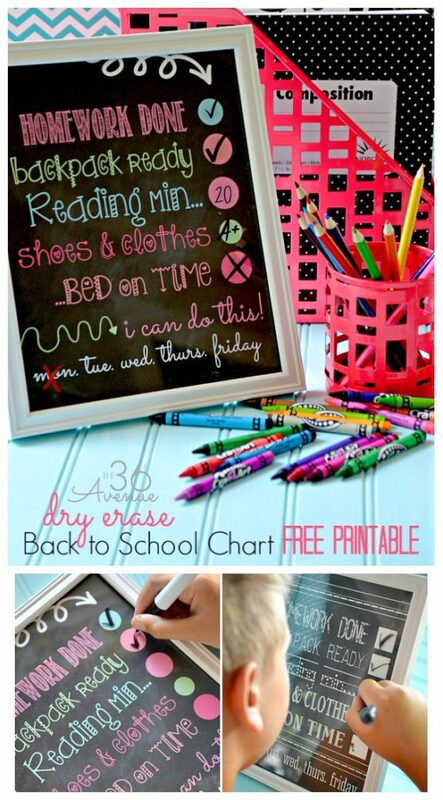 It’s official, Back to school season is here! If your kids haven’t already started back, they will be shortly. We are already into week 3 around here and that means I’m finally starting to get a hold on our new routine. Well, at least I can hope so. I have been loving all the ideas I’ve found floating around out there in the web-world and I wanted to share my very most favorites with you! These are ideas that will make your routine and your life easier! Who doesn’t want life to be just a smidgen easier?! 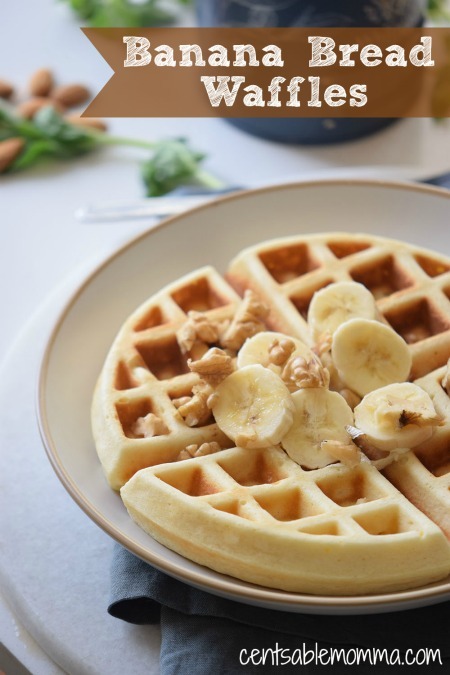 Start the day off right with this delish Banana Waffle Recipe found at Centsable Momma. A good breakfast is essential because everyone knows it’s the most important meal. 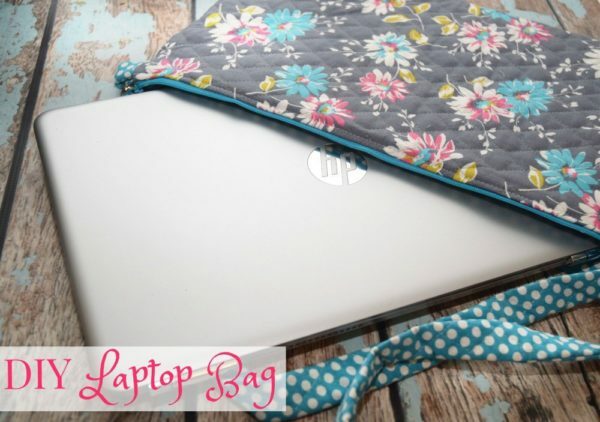 Every girl needs one of these adorable Laptop Bags over on The TipToe Fairy whether she’s going back to school or not! Computer safety and fashion are important! I love this simple and oh, so cute checklist found at the 36th Avenue! 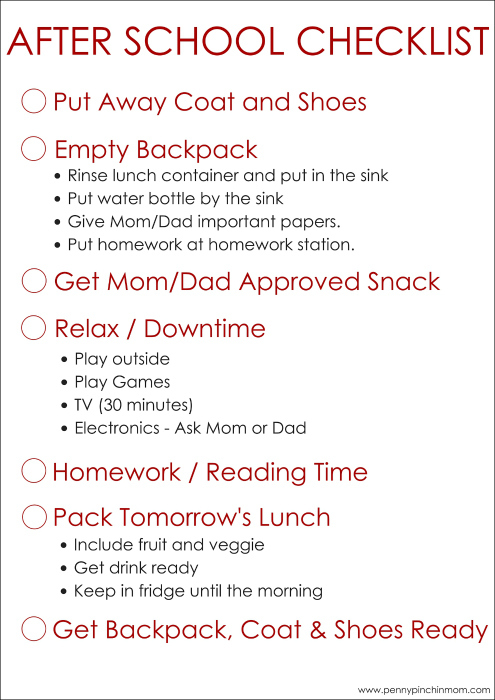 There’s another great After School Checklist over on the Penny Pinchin Mom too! 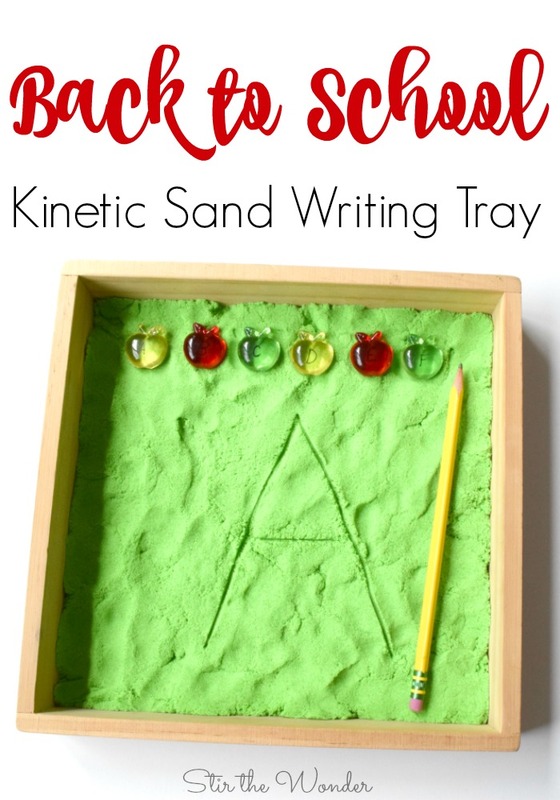 This Sand Writing Tray over on Stir the Wonder is perfect for my preschooler to practice his letters while my 2nd grader does his homework too! Grab this super cute Tips for Getting Straight A’s over on Michaela’s Corner for your teen and watch the A’s roll in! Or maybe you can pin in next to the calendar because teens don’t listen. Or so I’ve heard. 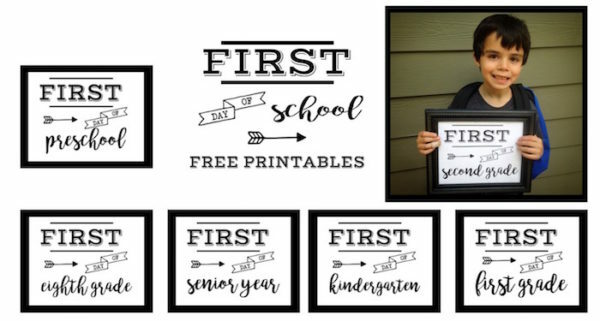 These First Day of School Signs over on Paper Trail Design are perfect for those first day of school photos that everyone shares on Facebook! If there aren’t photos on Facebook then it didn’t happen, right? 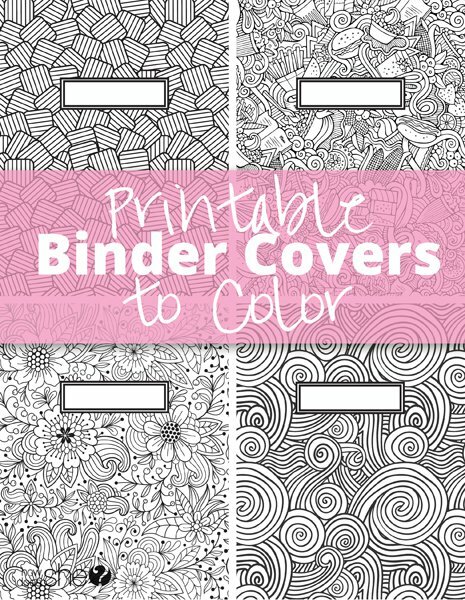 I am practically in love with these Print and Color Binder Covers over on How Does She. 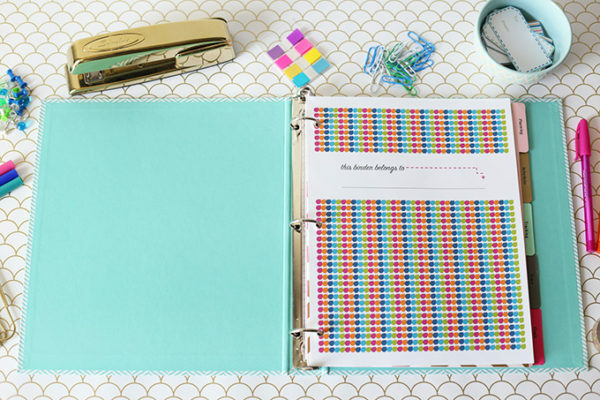 If you haven’t seen this Printable Student Binder on Just a Girl and Her Blog go check it out, PRONTO! I absolutely love having a specific spot for homework time. 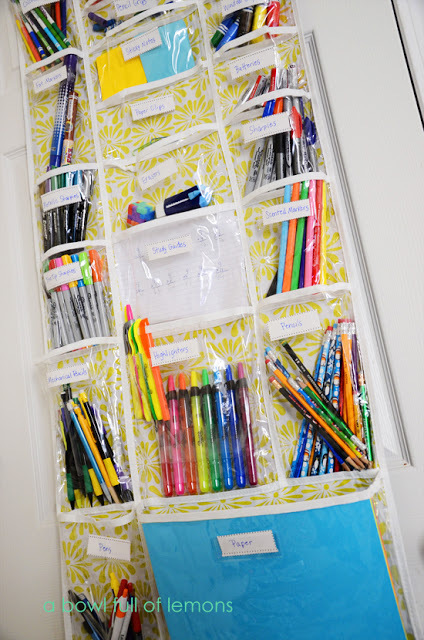 Make your own Homework Station like this one on Polka Dot Chair so homework time is a breeze. This is a neat idea! 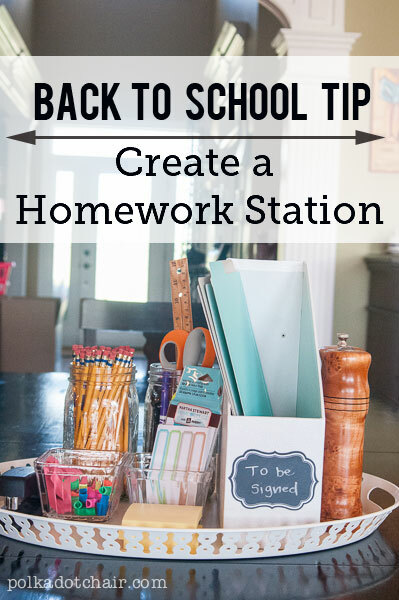 Put together a whole Organizer Homework Station like this one on Bowl Full of Lemons and keep everything in a tidy little home. Every kid loves getting a little note from home. At least, I did. 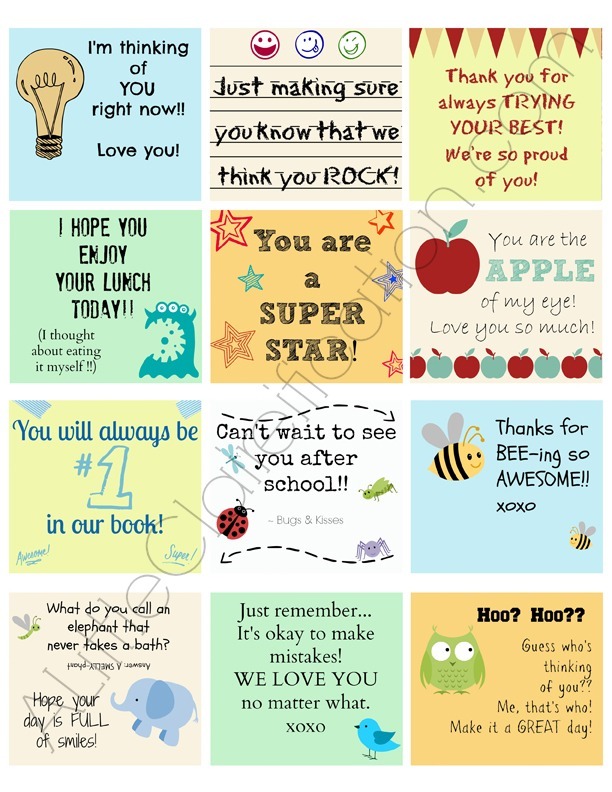 These Lunch Box Notes over on A Little Claireification are just what you need and will let your kiddo know you’re thinking of them while they are away. 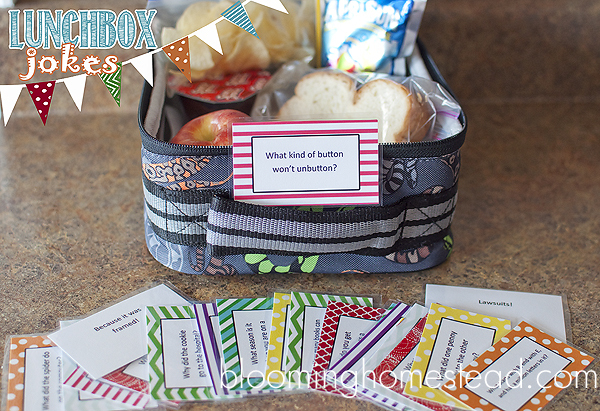 If your kid is a jokester, these Lunch Box Jokes over on Blooming Homestead are super cute! Share a laugh with your kiddo even if you can’t be there. 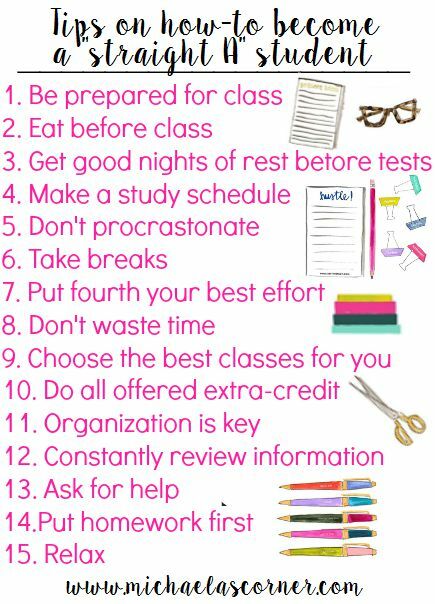 Do you have any great back to school tips? Share them with us! These are all great ideas! I love the checklist. My girls need something like that so I don’t have to sound like a broken record every afternoon. The notebooks covers to color are also pretty snazzy. Thanks for sharing! Thanks, Elizabeth! Glad you think they are great ideas too! I just love those notebook covers!